A criminal charge can have a lifetime of repercussions and hardship. Attorney Daniel Hilf of Hilf & Hilf, PLC travels throughout the state of Michigan, including the Grand Rapids area, to help persons accused of criminal offenses. Why? Sometimes a local lawyer is part of the status quo and will not put up a fight, and an outside of the county lawyer is needed to provide thoughtful and aggressive legal representation. Attorney Daniel Hilf's obligation is first and foremost to his clients, and he will say what needs to be said to properly address the accusation. Moreover, attorney Daniel Hilf has a solid reputation in Michigan, over twenty years of courtroom experience, and sharp legal acumen needed to combat your felony, misdemeanor, local ordinance or ticket no matter where you need to appear. Sometimes finding a lawyer that will go the distance for you is finding the lawyer who will travel the distance for you. All criminal matters disrupt the lives of individuals and families, so there is no room for mistakes, bad legal advice, lack of strategy, or for anything short of a top level criminal defense. Attorney Daniel Hilf's oath to his clients is to respectfully defend the client, respect their choices, and raise a passionate, vigorous defense. Attorney Hilf is on your side and he is here to defend you upon retention for his services. The ultimate goal of lawyer Hilf is to help you reclaim your life and overcome all obstacles and impediments in your legal path. Defending false accusations is a tough experience, because it is stressful to clients, and it requires clients to spend money to try and right a wrong which does not seem like justice. However, defending the innocent is time consuming focused work, and there is a price to pay for an experienced outside legal representation. The criminal justice system requires innocent people to be in courtrooms everyday though no fault of their own due to an error or an outright lie. Innocent people are persecuted for many different reasons, including: mistakes made by police officers; lies and deception; prejudice and bias; persons are sometimes targeted by police officers; assumptions that are wrong; and violations of Constitutional rights. Police officers all too frequently jump to conclusions and have hunches that are not supported by the known evidence. Many police officers and detectives view the world as "us" against "them", and purpose their jobs to build criminal cases against persons. An approach by police that is not neutral and not fair leads to injustices. The commitment of defense attorney Daniel Hilf is fight against false convictions through intense work, evaluation of evidence, and strategy. The prosecutor is also prone to "overcharging" individuals which also is unjust and very damaging. Overcharging happens when the prosecutor decides to pursue a more serious charge against a person when it is questionable that the more serious charge actually occurred. For example, drug abusers sometimes get prosecuted like drug dealers because of a large quantity of drugs found in their possession, even when there is no evidence of any types of drug sales ever occurring. The mission of attorney Hilf is handle your case in the best possible way in order to help you get the best possible result. This could be by either plea, plea or sentence negotiation, motion practice, evidentiary hearing, or trial. Fantastic results can only happen with diligent and zealous work from a recognized legal professional. Make sure you know the quality of your legal representation, and never take chances with an untrustworthy lawyer. Attorney Hilf's record as a legal advocate is verifiable and searchable online with little effort. Attorney is a passionate and aggressive legal fighter who is available for you to hire. Do you have to go to a Grand Rapids area Federal Court, District Court, Circuit Court, or any other Michigan Court based upon an accusation or summons? 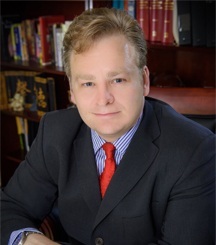 Contact Hilf & Hilf, PLC lawyer Daniel Hilf is and discuss your situation in private with him. Hilf & Hilf, PLC often accepts payment plans, and is prepared to discuss with you all payment options in order hopefully represent you or a loved one. Contact Hilf & Hilf for immediate help criminal case pending in Grand Rapids or anywhere in Michigan.